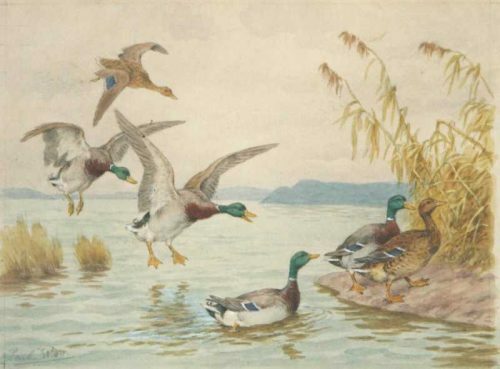 Arrival is an original etching showing four Mallard drakes and two hens as they are making a landing on a lake and climbing up the bank. 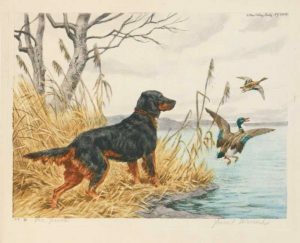 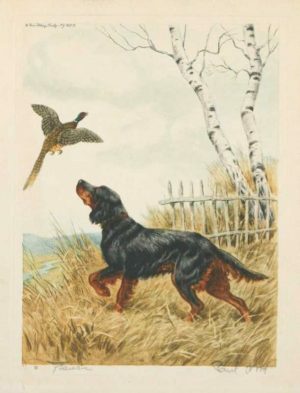 The American artist Paul Wood ( 1897-1964 ) was known for his watercolors and etchings of animals but particularly of hunting dogs and birds. 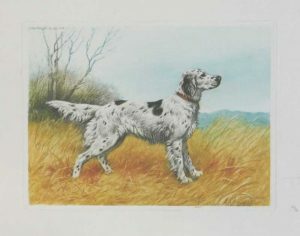 In the 1930’s his etchings were published by the Paris Etching Society and exhibited in the USA and in France.There is a fold in the the top right corner.